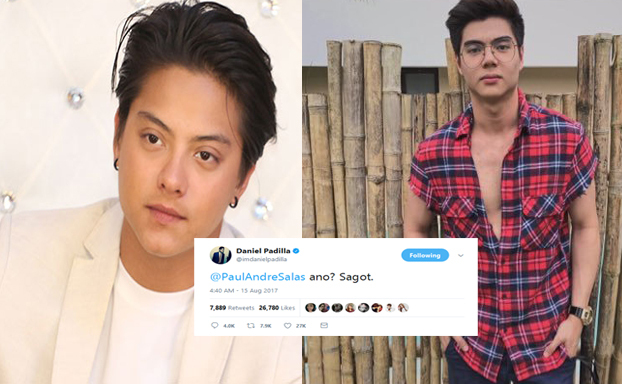 Paul Salas is not afraid to speak his mind about Daniel Padilla- JC de Vera scuffle during the Star Magic All-Star Basketball game. 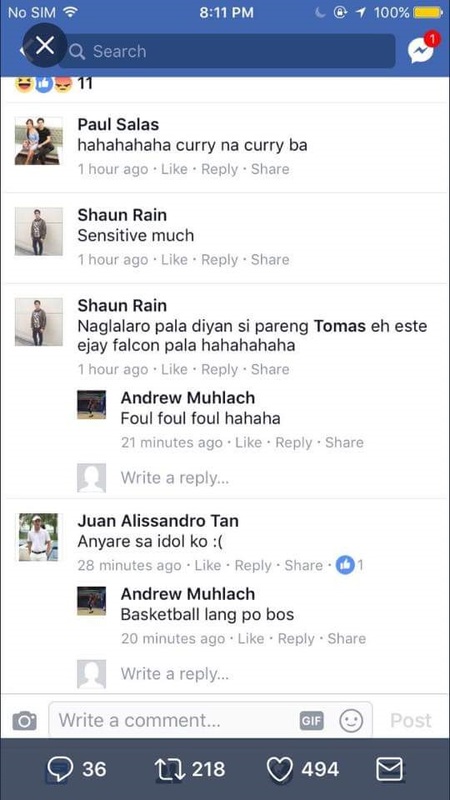 On Tuesday, the actor took to his facebook account and said: 'Curry na curry ba', indirectly referring to Daniel after he was accidentally stumbled when he and JC both tried to keep possession of the ball. A twitter user @Sabysky posted a screenshot of it and send it out to Daniel and his close friends, Marco Gumabao and Patrick Sugui, who were part of Team Daniel. 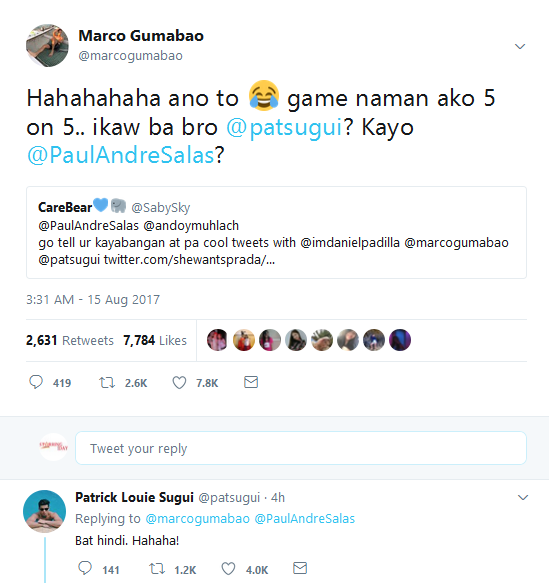 This has caught the attention of Marco, challenging Paul for 5 on 5 basketball match that was agreed by Patrick. Moments after, the actor called Paul out and asked for his response to the challenge. And Paul immediately responded, saying, 'Hahaha. G na pa sched kami sa court.' . His response has been deleted but he posted it again. 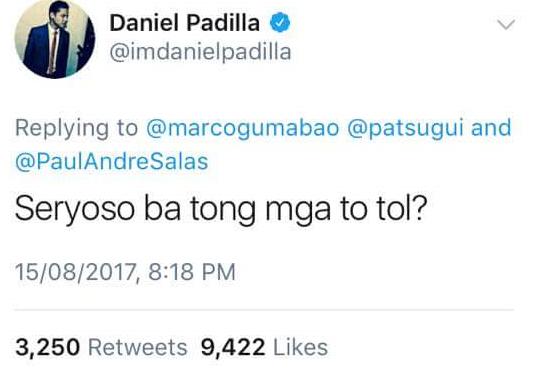 Team Daniel or Team Paul? Which team are you on?